Regimental HQ – Based at Gamecock Barracks Bramcote along with RHQ 30th Signal Regiment. Commander QG SIGNALS is also the Commanding Officer of 30th Signal Regiment.They ensure the wider employment opportunities throughout Royal Signals. It also advises Royal Signals, HQ Brigade of Gurkhas and APC Glasgow on the employment of QG SIGNALS within the Corps. 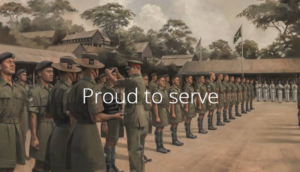 RHQ is responsible for all Regimental matters and issues, particularly Gurkha Welfare and ensuring Regimental ethos and Kaida (traditions) are maintained. RHQ QG SIGNALS is also responsible for organising events such as sport the Regimental birthday parade and annual reunion, Trailwalker UK, attestation and commissioning parades and the religious and other Nepali festivals celebrated each year within the regiment. RHQ is also responsible for the introduction of new recruits into the Regiment, conducting initial training and allocating trades to individuals before they proceed to the Royal School of Signal (RSS) at Blandford for their trade training. training. One of the field squadrons under 2 Signal Regiment based in York. Supporting these troops are the Squadron Headquarters, Technical workshop and Motor Transport Departments. One of the field squadrons serving with 22 Signal Regiment based in Stafford, West Midlands. Provides CIS support to British Forces Brunei including secure message services in support of the garrison. The Queen’s Gurkha Signals association also have a website so we invite you to take a look.